Thousands of satisfied customers purchase these WonderSlim diet products month after month and make them a regular part of their weight management efforts. Their confidence in these specific WonderSlim products makes them uniquely qualified to be called our WonderSlim Best Sellers! WonderSlim is one of the most popular diet food and weight loss brands available from Diet Direct. Our selection of WonderSlim products includes delicious foods that are high in protein and low in sugar and carbs. These tasty diet meals, snacks and desserts are perfect for aiding in weight loss and weight maintenance. 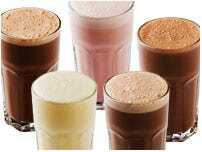 They help dieters reduce calories while feeling full and satisfied by increasing protein intake. If you’re thinking about starting a new high-protein diet and would like some suggestions for low-calorie foods, start with our WonderSlim best-sellers. These weight loss meals and snacks are some of the most loved products available at DietDirect.com. This selection includes everything you need to get started on your new diet today. Our most popular WonderSlim products include high-protein, low-calorie entrees, snacks, protein shakes, protein bars and more. You can use these diet foods as additions to your other diet foods or you can use them as weight loss meal replacements. Either way, you’ll gain the benefits of increasing your protein intake. Some of these benefits include a boost in energy, regulated blood sugar, increased muscle and bone health and improved nutrient absorption. A high-protein diet will also aid you in losing weight or maintaining your current weight. WonderSlim weight loss foods are not only nutritious, but they also taste great. You’ll forget you’re even eating diet food when you bite into one of our decadent nutrition bars or sip a thick and sweet protein shake. Another great way to enjoy our most popular WonderSlim products is to order one of our favorite diet kits or product assortment packages. WonderSlim diet kits feature a set number of different meals and multivitamins that are delivered to you regularly. 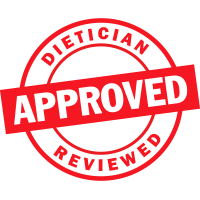 By having your prearranged meals sent directly to you, we take all of the work out of dieting. You’ll be able to stick to your diet with ease and have fewer excuses to cheat. Other product assortments include collections of best sellers and some of the best WonderSlim products to try. 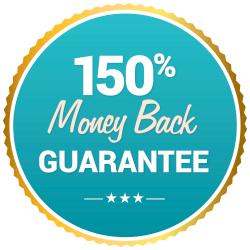 We are so convinced that you’ll love the quality of our products that we offer a Money Back Guarantee on all your purchases. Along with our same business day shipping, you can know that you’ll have the best weight loss products shipped fast to your doorstep.